Today’s home at 2 East 88th Street is the sort of classic pre-war residence that speaks to New York’s grand history. 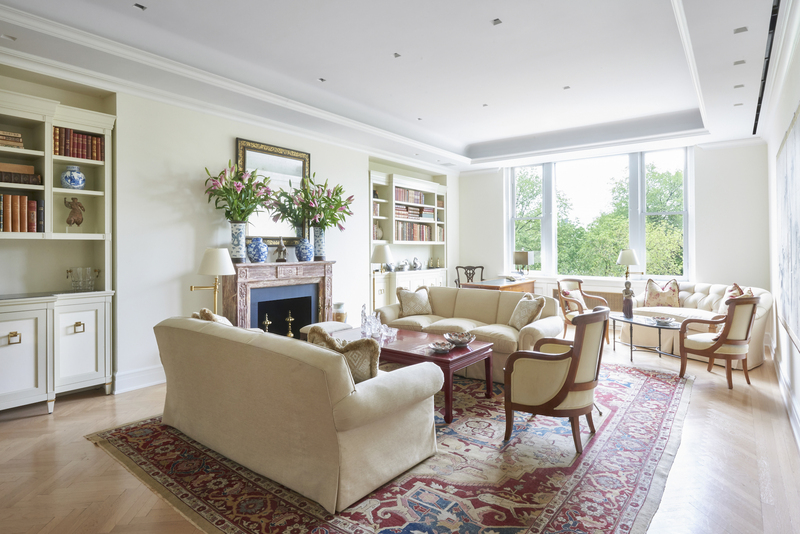 Owned by a doyenne of New York society, this elegant home is as refined as its pedigree. This approximately 3,500-SF home is located Upper East Side co-op opposite from the world-renowned Solomon R. Guggenheim Museum on Fifth Avenue. The home has 10.5’ ceilings and oversized windows that offer spectacular direct views of the museum and tree-level exposures west over Central Park and the reservoir. The home is accessed from a private elevator which opens to a vestibule. The living room has soffit ceilings, recessed lighting, and a marble wood-burning fireplace. The formal dining room can seat 24 for impressive gatherings. The kitchen can handle elaborate dinner parties with two large Sub-Zero refrigerators, a pair of Miele dishwashers, two Wolf ovens, a grill and 6-burner stove, in addition to a wine refrigerator and separate laundry area with full-sized washer and dryer. The library is paneled in cerused oak and has a second wood-burning fireplace. 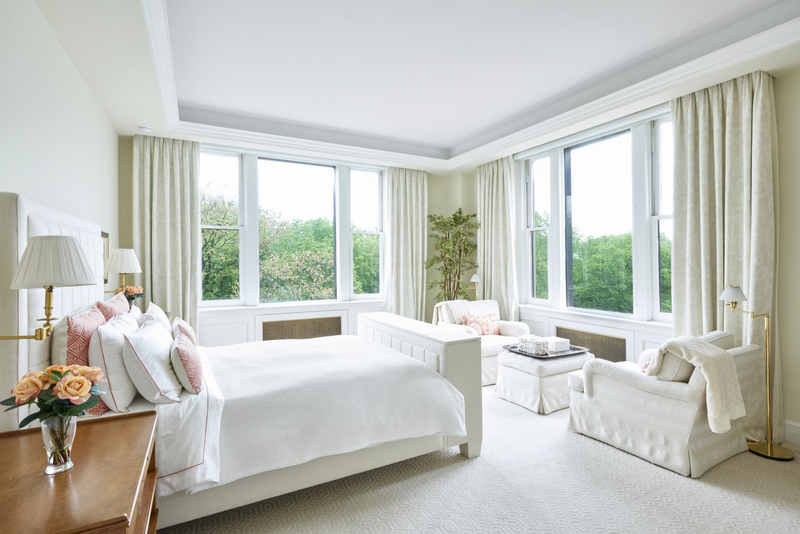 The master suite has direct views up Fifth Avenue and exposures of the Central Park trees and reservoir across the Avenue from a a west-facing window. The renovations include two brand-new, marble full bathrooms with heated floors. The marble master bath with tub and separate stall shower leads to a walk-in dressing room outfitted with floor-to-ceiling built-ins. Another sizable bedroom features a private ensuite full bathroom and many built-ins. The building is located in the heart of the Carnegie Hill neighborhood an was designed by Pennington & Lewis was built in 1930. It has just 13 apartments and has the services of a full-time doorman and live-in super. This unit is listed for $13.95 million with Bonnie Chajet and Ronnie G. Lane of Warburg Realty.